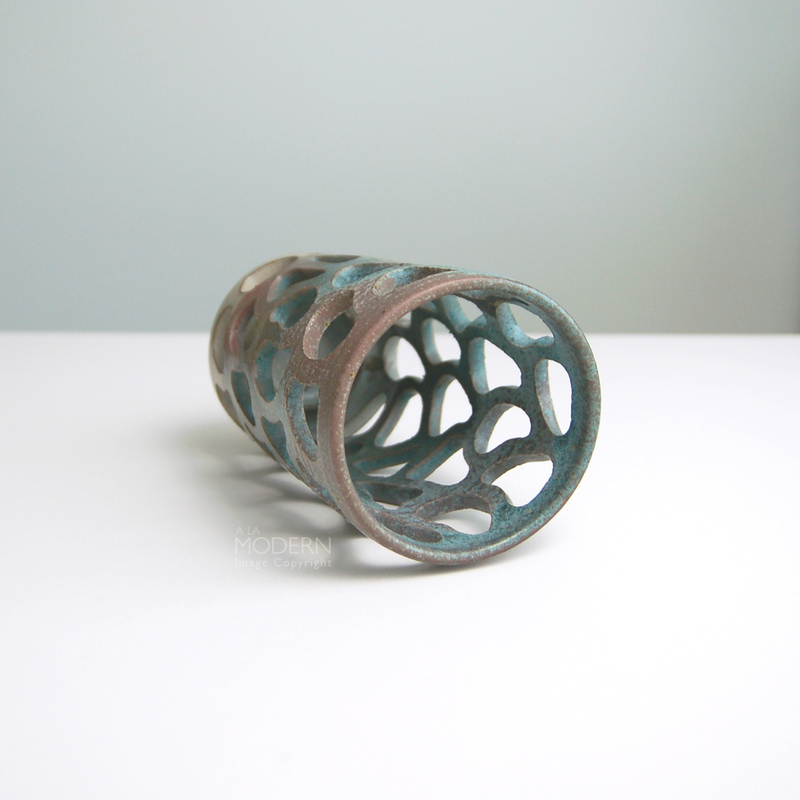 A fantastic, unusual stoneware candleholder by Austrian born John W. Novy. 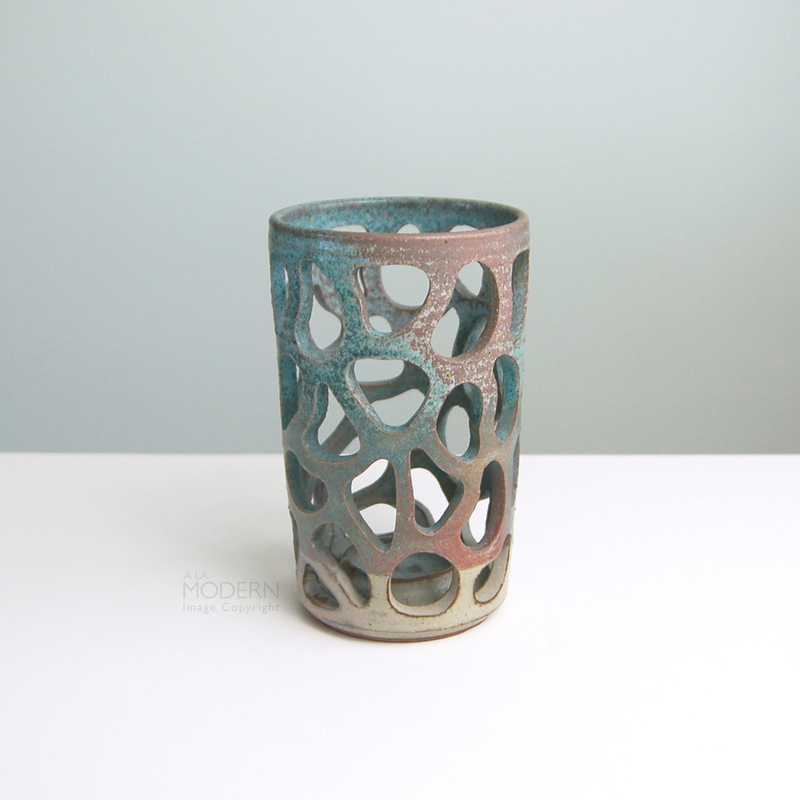 Cylinder form with cut-out abstract windows on the sides, wonderful speckled green trending toward brown glaze. There is built-in receptacle at the bottom for a candle, looks like it'll hold about a candle that measures 1 3/4 inches. Novy lived in the San Diego area and was part of the famous Allied Craftsmen in the 1960s-70s. 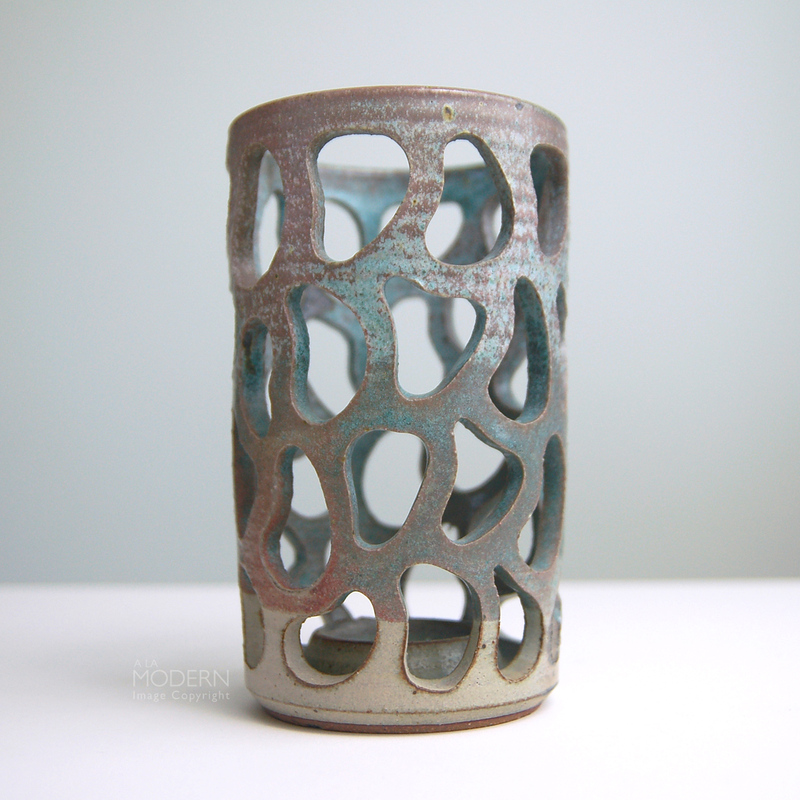 We usually see vases by him - this candle holder looks different than his usual work. 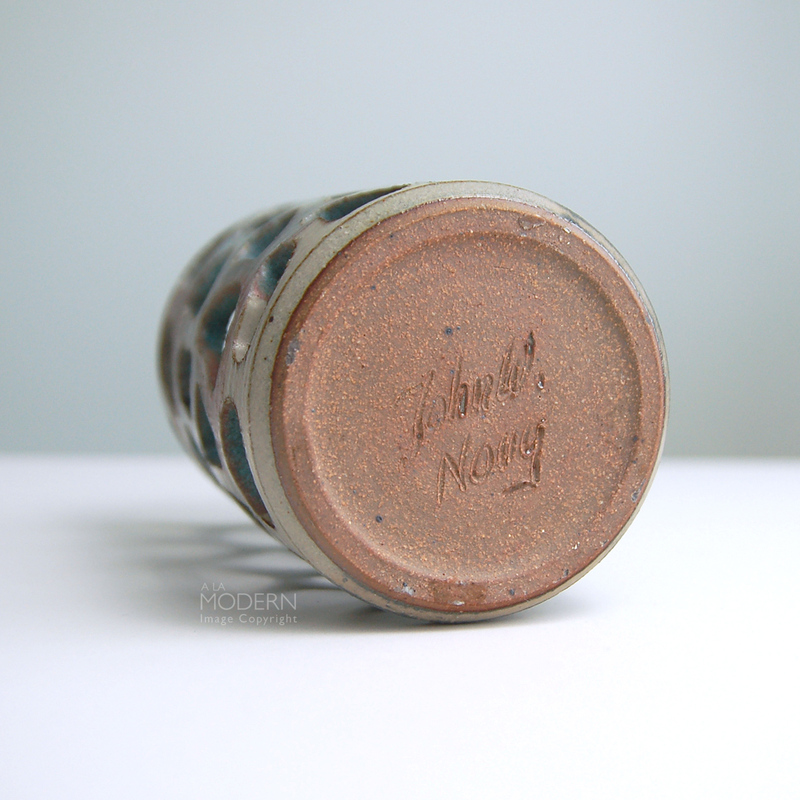 Signed on the rough stoneware bottom with "John W. Novy". In good vintage condition, with no cracks or chips. 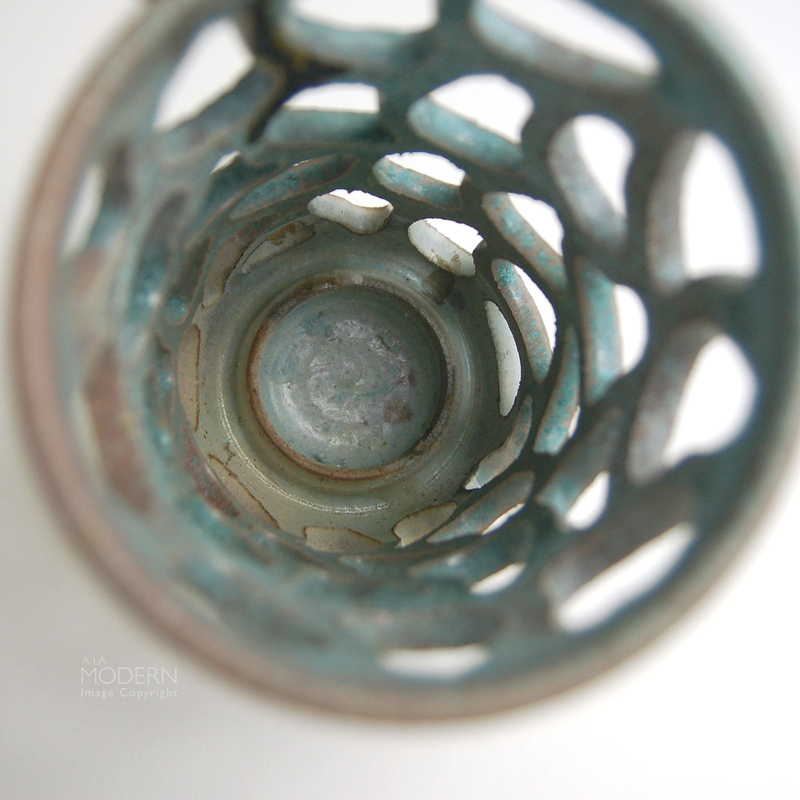 Some candle wax in the bottom receptacle, drips, pops and spotting to glaze. Measures about 7 1/2 inches tall and 4 1/2 inches wide. This item is currently available on one of our partner sites.